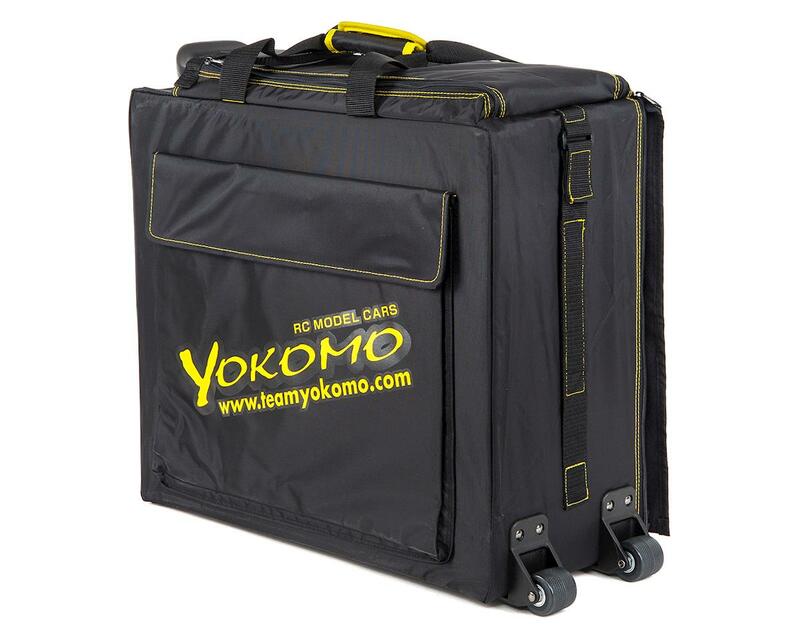 The Yokomo Racing Pit Bag IV was designed to haul and store the RC gear you need for a day at the track. Optimized for 1/10 on road and 1/10 off road applications, this bag provides you with storage space for your tools and other necessities. Features include a roll up main flap, removable drawers, easy-to-access pockets with a large 40.6 x 35.5cm (16x14") pocket to carry a setup board. The bag includes two large 50.8 x 12.7 x 22.8cm plastic drawers, and two small 25.4 x 12.7 x 22.8cm plastic drawers. 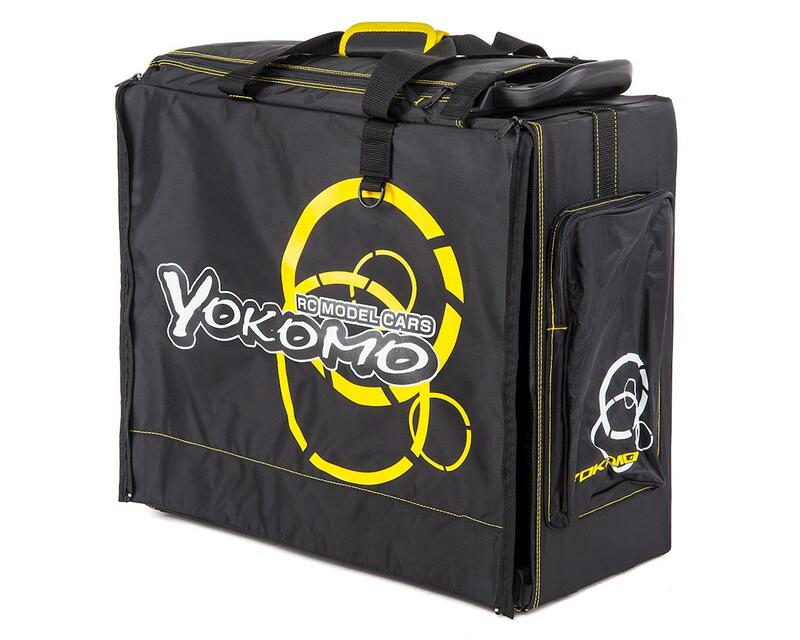 This is the perfect multi-functional racing bag to RC users to work on the track. This bag is shipped disassembled to reduce shipping costs - some assembly required! A very nice high quality bag. Only thing is that it’s on the smaller side of bags unlike the Protek RC or the Proline hauler bags which are doubled in width(literally). Unless you only have a single car(which I do), it has more than enough space for one. bought this bag as a birthday present to myself, its a really nice bag but little bit on the smaller side of things. it came flat pack so assembly was required but without any instructions what so ever that was challenging. could do with more tool storage. would say its more of a show off bag than functional.